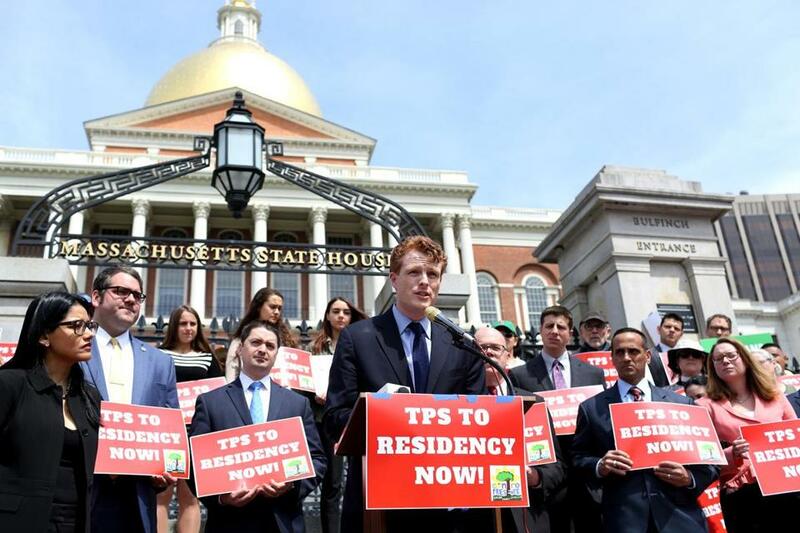 Representative Joe Kennedy III spoke at a State House rally for temporary protected status for Hondurans, which has been revoked. Honduras is the sixth country to lose temporary protected status since President Trump took office, meaning about 300,000 immigrants have been told they must leave the country next year, seek an alternative immigration status, or face deportation. The protection for some 60,000 Hondurans — more than 1,400 in Massachusetts — will expire Jan. 5, 2020. For about an hour, one speaker after the next promised to not only stand in solidarity with immigrants but also to fight to bring about legislative reforms. Patricia Carbajal, a single mother and construction worker from Honduras who has lived in the country with temporary protected status, told the sign-waving crowd of several dozen that she has lived in the United States for almost 20 years, paying taxes and abiding by the law. 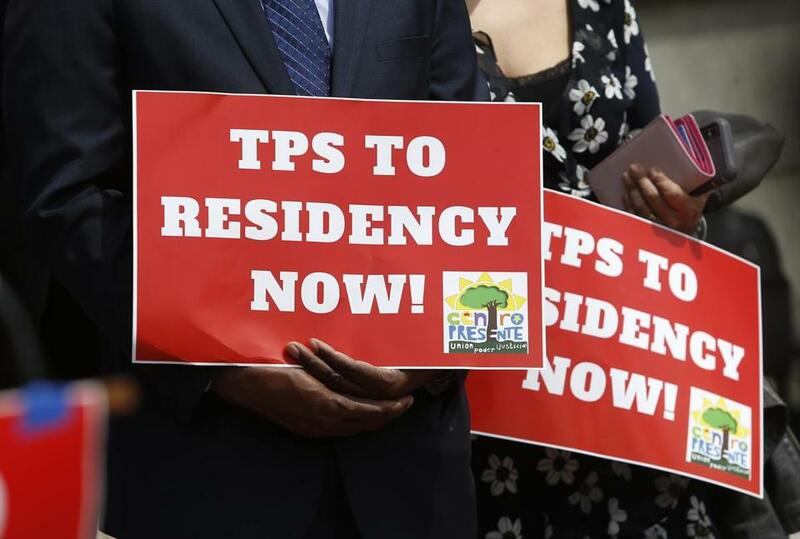 TPS is a humanitarian program that protects immigrants from certain countries affected by crisis or natural disaster from deportation, allowing them to live and work in the United States legally. But it is not a track to permanent residency or citizenship. Immigration advocates have heavily criticized the administration’s decisions to rescind the status, particularly for people from Haiti and El Salvador — and now Honduras — arguing that racial animus has been the deciding factor in discontinuing the program, not whether the affected countries have recovered from disaster. A country’s designation lasts six to 18 months and is renewed at the discretion of the executive branch. Some have said the program, by definition, was meant to be only temporary, even though some recipients have been in the country for decades. “I was just in El Salvador in December. It is more violent today than it was during the war. Honduras is incredibly violent. These are like war zones, in essence, and sending people back, you are sending them to uncertainty and maybe even death,” McGovern said. Ivan Espinoza-Madrigal, executive director of the Lawyers’ Committee for Civil Rights and Economic Justice, told the crowd that it plans to amend its TPS lawsuit against the Trump administration on behalf of Haitians and Salvadorans to also include Hondurans. The suit alleges the federal government is discriminating against immigrants of color by ending the temporary protections. Advocates for immigrants from Honduras rallied at the State House Monday. Temporary protection for some 60,000 Hondurans — more than 1,400 in Massachusetts — will now expire in 2020.